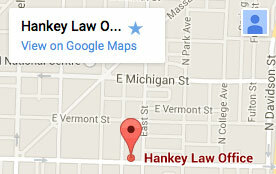 Hankey Law Office > Blog > Indiana Long Term Disability Attorney > What is ERISA? ERISA is a federal law that sets minimum standards for pension plans in private industry. The Employee Retirement Income Security Act of 1974, or ERISA, protects the assets of Americans so that funds place in retirement plans during their working lives will be there when they retire. If an employer maintains a pension plan, ERISA specifies when an employee must be allowed to become a participant. The act also stipulates how long an employee must work before they have a non-forfeitable interest in their pension, as well as how long a participant can be away from their job before benefits are affected, and whether a spouse has a right to part of their pension. ERISA does not require any employer to establish a pension plan, but requires that those who establish pension plans meet certain minimum standards. If you need assistance with an ERISA claim, please contact the Indiana ERISA Lawyers of the Hankey Law Office, by calling (800) 520-3633.